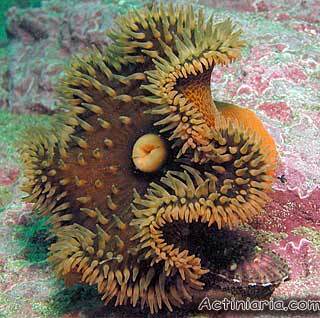 Many species have been described in the genus Antholoba, but most then were united under the name Antholoba achates. 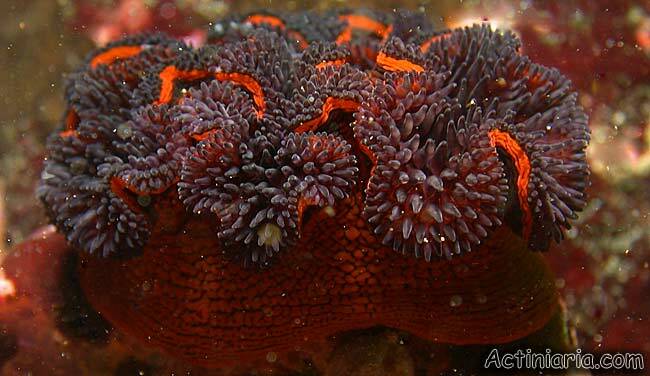 Antholoba achates is a spectacular species widely distributed in South East Pacific from Galapagos Islands to Pacific coasts of South America (Peru, Chile), and in Atlantic coasts of South America (Patagonia, Falkland Islands). 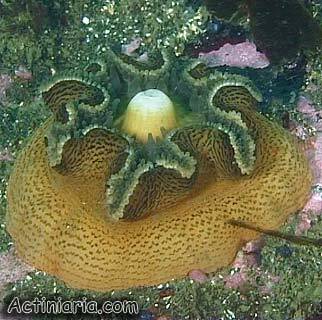 This robust species is characterized by wide pedal disk, conical and usually rather short column marked by dark dense patches, deeply undulated oral disk with numerous short tentacles and elongated mouth in its centre. 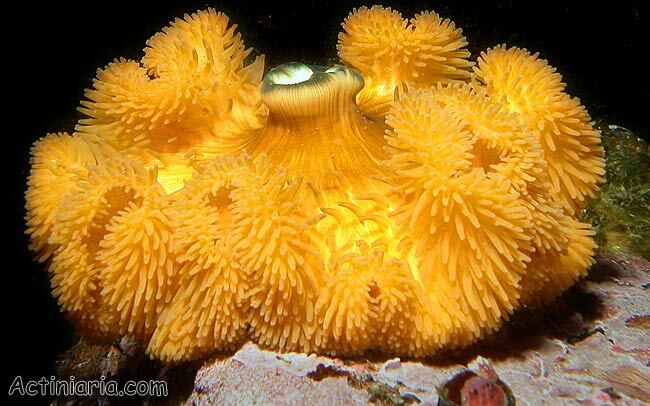 Typical specimens can be easily recognized on the photos of the living anemones, although the color of different specimens may differ considerably.